Q. How do I find subject specific databases? Academic Search Premier is useful for many topics, but if you are looking for something specific you might want to try a subject database. 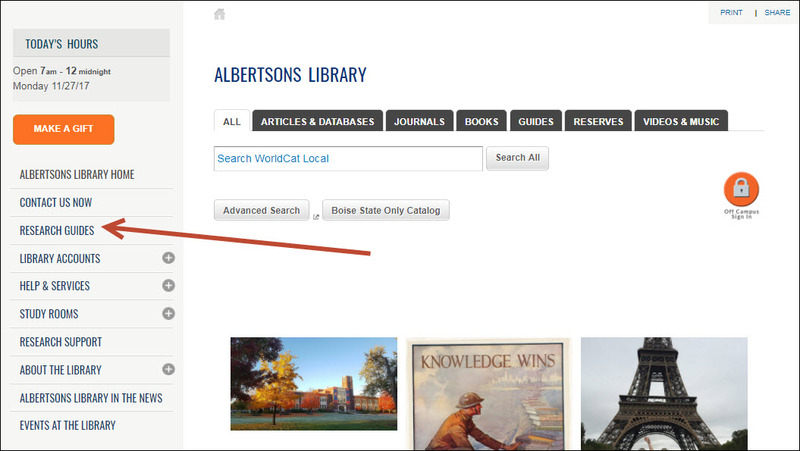 On the library homepage, find the "Research Guides" link and click on it. 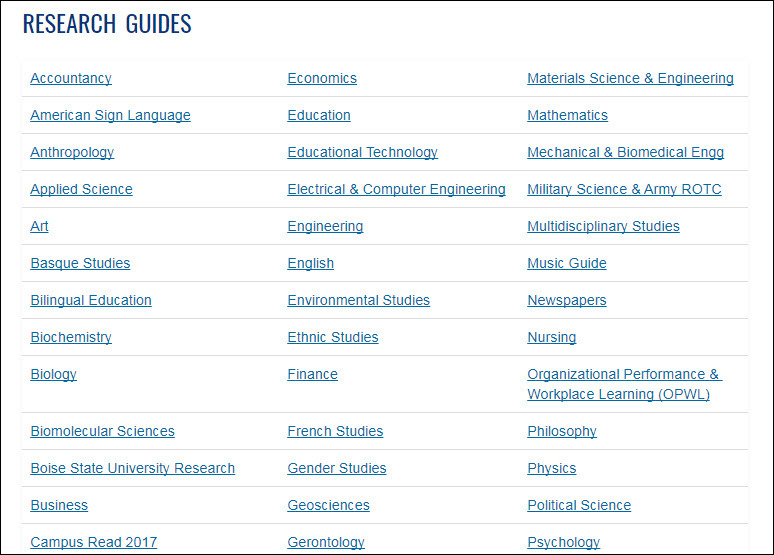 Find the subject you’re looking for, and click on it to be taken to that research guide. Here you’ll find the top recommended databases for your subject. Click on one of these databases to start your search.